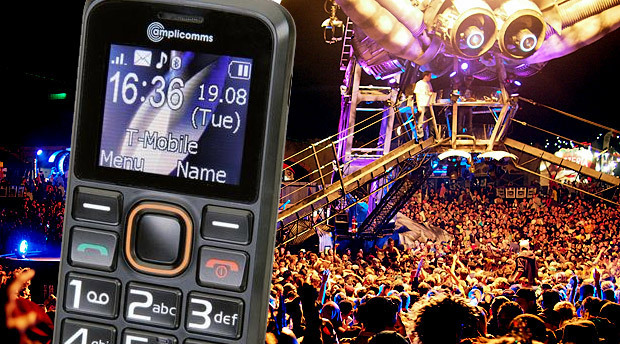 Loud, cheap and with a big battery life – is this the perfect festival phone? You’ve got be madder than a Jock McBonkers on extra strong mushrooms to take your expensive, high end smartphone to a weekend of rolling around in the mud to music. The battery will most likely conk out before you’ve crawled back into your tent on the first night, and there’s always the danger that your phone will fall into the irretrievably deep, dark and murky depths of the festival toilets. As seasoned festival-goers – and veterans of several truly biblical Glastonbury mudfests – we here at Buzz recommend that you leave your pricey handsets at home and go with a more battle-ready phone. Something like the amplicomms M6300 looks ideal: it’s an amplified phone designed for people with hearing loss, which makes it perfect for taking calls over the racket of your neighbour’s incessant bongos. The battery will last around 7 days, and it’s got an almighty loud ringtone and powerful vibrate so you’ll still be reachable when you’ve got your head deep in the bass bin at the rave tent. Moreover, the M6300 comes with an SOS button to call 5 pre-selected pals for those moments when the location of the tent becomes an unfathomable mystery or when the ‘refreshments’ have turned the horizon into a lamb shaped lamppost with bouncing psychedelic weevils. 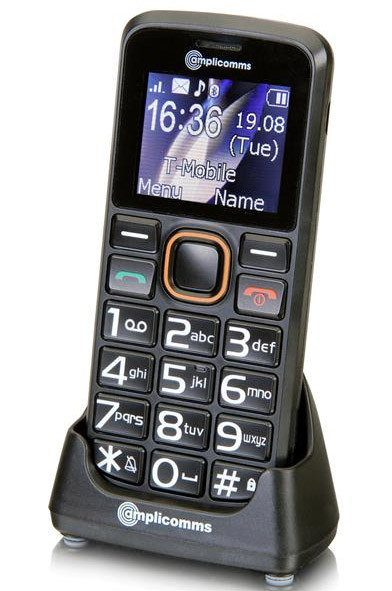 The handset is available from www.robertdyas.co.uk for £39.99. At £39.99 Post Festival Pass on to Gran! Also consider the Doro Phone range. Similar price but some models have a very basic camera. If you really (really? )can’t disconnect for the weekend, mind you, £30+ a top up will just about get you a low end smartphone now-Carphone Warehouse have three currently at this price.